During the summertime, many people spend hours in the warmth of the sunshine. Though they have slathered sunscreen, they are still exposed to chlorine in the water when in the pool or to the elements of the summer heat. In short term exposure, the sun’s rays make us feel good and look good. However, too much exposure to the sun accelerates the effects of aging and increases your risk of developing skin cancer. 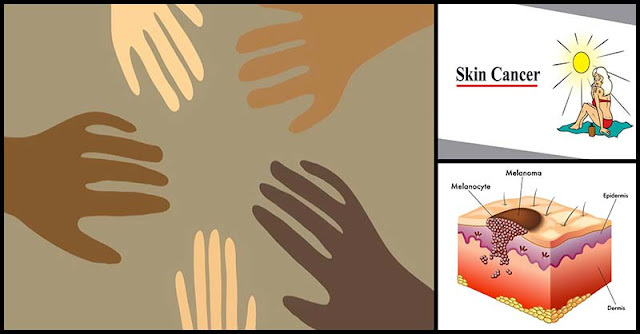 Skin cancer is mainly caused by too much exposure to ultraviolet (UV) radiation from the sun. This damages the genetic material (the DNA) in your skin cells. If enough DNA damage builds up over time, cells start growing out of control and results in tumors, which are either benign (noncancerous) or malignant (cancerous). Both basal cell and squamous cell cancer are a less serious type and are highly curable when treated early. On the other hand, melanoma is the most serious form of skin cancer. If left untreated, it can spread to other organs and is difficult to control. In the U.S., skin cancer is the most prevalent form of all cancers and the number of cases continues to rise. For the past 30 years, skin cancer cases have outranked all other types of cancers combined. That’s why if you are always spending hours under the sun, you should consider the following treatment that may help you fight the damaging effects of the sun. Throughout history, myrrh has been used to treat different illnesses. Studies have found that it causes cancer cell death and is effective against skin, prostate, and breast cancer cells. Black raspberries are rich in antioxidants and contain immune boosting as well as anticancer properties. It targets the tumor and helps kill cancer cells. Several studies have been published regarding frankincense oil’s ability to kill breast, bladder, and skin tumors. It can be applied directly to the skin as an essential oil or as a salve to help relieve skin cancer symptoms. In a study published in the Cancer Letter, it was found out that a cream with 10 percent solasodine rhamnosyl glycosides (BEC), a compound derived from eggplant, is an effective treatment against keratosis, basal cell carcinomas, and squamous cell carcinomas. Aside from these natural treatments, you should also include berries, tomatoes, and peppers in your diet as they can provide the body with the nutrients it needs to fight skin cancer.